Prepping your home for sale is all about creating the best image for buyers to see, whether they’re browsing online or touring your home in person. This can be tricky when you have kids and a busy life that can’t be put on hold. Not to mention, most sellers have a budget limiting what they can spend on home staging and cleaning. Fortunately, some of the best things you can do to prep your home for sale are affordable or even free. For busy families, getting your home ready to sell often means lots of decluttering, cleaning, and staging. Everyone has their own home setup that works for them, but the purpose of staging is to depersonalize, and at the same time, create a homey and welcoming feeling. Even the smallest touches, like fresh new linens and decorative throw pillows, can make a huge difference in how buyers feel about your home. These little things don’t have to be expensive, and you can often find them for a good price at retailers like Macy’s. You can keep costs down even more by searching online before you shop for a Macy’s in-store coupon or promo code. If your budget allows, you may even want to hire a professional to stage your home. The average cost to have your home staged professionally is $822. Even though this is an added expense, staging your space can help you get a better price when you sell, and can even save you money on moving costs. Part of the process of staging includes decluttering, and a professional can help you do this efficiently. They can even help you decide on what to sell or donate so there’s less for you to move. According to U.S. News, moving less stuff is the best way to save on moving costs. Decluttering is a step you can do for little to no money. The main thing you need is boxes to pack away anything that’s personal, valuable possessions, and things that aren’t used frequently. 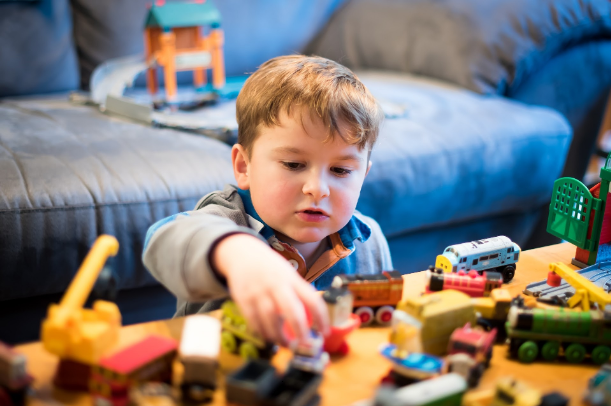 Kids can get involved by choosing which toys they play with most and want to keep around, and which ones can be packed up. If you have time, stock up on boxes from free sources like local businesses. If you need to buy boxes, Real Simple recommends some of the best websites to order them at a discount, which include U-Haul and UBoxes. Once your home is clean and staged, the next challenge is keeping it that way. This requires a little work, but the right supplies and the right strategies make it easier. ● Start a Habit of Continual Cleaning – Continual doesn’t mean constant, but you should always clean immediately after making any messes. Start cleaning the kitchen while you cook, doing dishes right after every meal, and staying on top of laundry. This means you will go through lots of cleaner and dirty rags. Make this job easier and more affordable by stocking up on supplies from budget-friendly stores like the Dollar Tree, or using inexpensive natural options like vinegar and baking soda. ● Stock Up on Storage – Having plenty of storage is essential for keeping clutter away. For items that will stay out in the open, you can find affordable baskets at major retailers that actually enhance your decor. When you have kid stuff that gets scattered all over the house, an easy trick is to get each family member a bin from the dollar store to collect their items in at the end of each day. This is an easy way for each family member to quickly clean up and stash their basket out of sight. If your kids are old enough, getting them involved can make this process easier on everyone. It isn’t easy keeping any home spotless and free of clutter, and kids make it extra challenging. But shopping smart for the right supplies and staying on top of your cleaning routine will ease the burden and help you sell quickly – without compromising on your budget.